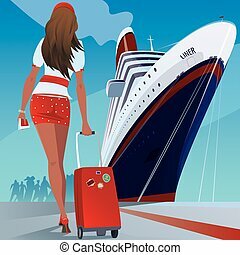 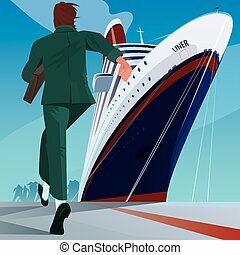 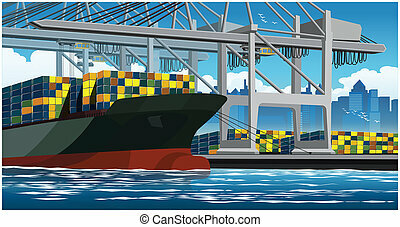 Container ship to call at a port. 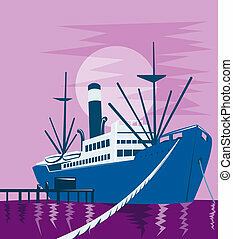 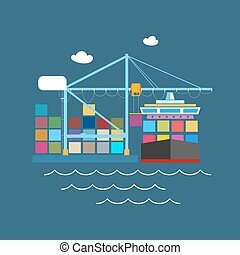 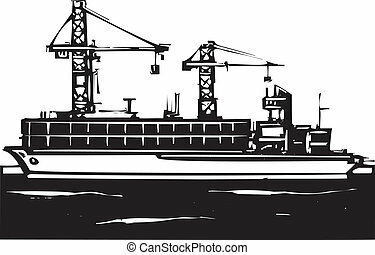 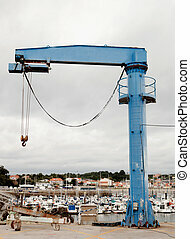 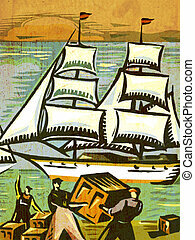 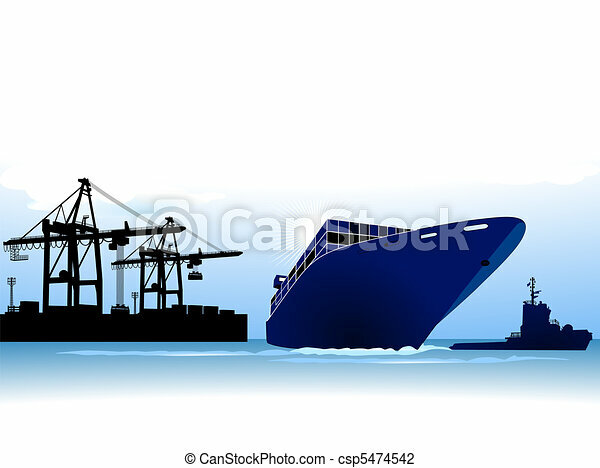 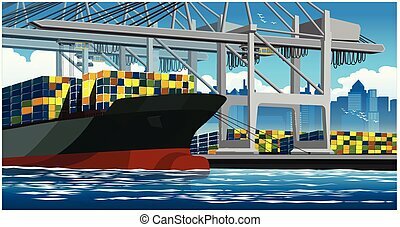 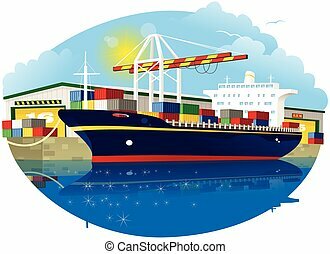 Woodcut Style image of a container ship and cranes loading at a dock. 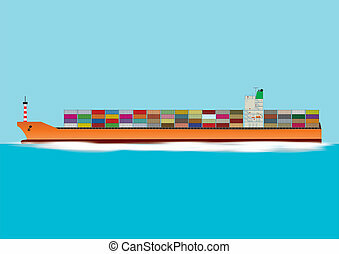 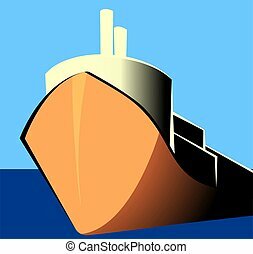 An image of a small container vessel docked at port side.